Firstly I comb through my eyebrows using this eyebrow comb from Wilkos. Now, I only use this due to the fact I don’t actually own a spooly, I know, I know. But this does the job well enough I think, plus its super affordable. This is what I really wanted to talk about. I recently purchased this from Estee Lauder, I’ve been searching for something decent for my brows for a very long time now and this seems to be just perfect. Its a waxy formula, which I love as I know it’ll stay put for longer. I just fill in any sparse areas of my brows and give a bit more shape. On the other end of the pencil, it has a highlighter. So I just go under my brows with this, blending it in with my fingers to give a subtle highlight. Would definitely recommend this product! The most amazing brow gel in my opinion, the Maybelline Brow Drama. Once I’ve filled in my brows, I’ll go back in again with my brow comb to make sure its all evened out. Then I put this through my brows to set them for the day! This definitely keeps your brows in place all day, its incredible. Also doesn’t make your brows look crisp or anything bad like that! 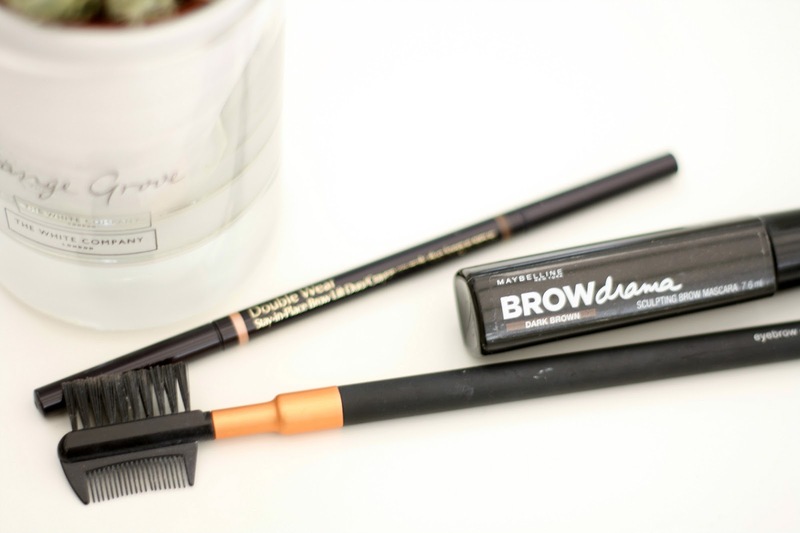 What do you use in your brow routine?